Today at a random location in Alberta, one can encounter the consequences of the worst refugee crisis since the Second World War. I didn’t know this until I went for a haircut. That’s where I met Wassim Aladdin from Syria. It was a Sunday in March 2016, in a salon at Calgary’s Chinook Mall. I didn’t plan to go to the salon. I wanted to do a few errands and get in and out of the mall quickly—but the barbershop was closed and I needed a haircut. Only the salon was open. It had brightly lit shelves full of shampoos, conditioners, gels and creams at the entrance and shiny metal trim on the wall mirrors. The woman at the front desk sent me to Wassim, a stylist with a fluffy dark mane of blow-dried hair swooping to his shoulders. “I just need a trim,” I said, as I sat in a salon chair. Wassim is from Damascus. His family—two brothers and his parents—fled from Syria to Lebanon, and he is sponsoring them to come to Canada. They had little choice but to flee their home country. Since March 2011 an estimated 470,000 people have been killed in the war. The Syrian government has used barrel bombs and poison gas on its own civilians. As a consequence, nearly five million Syrian refugees have registered with the United Nations High Commission for Refugees. Although the war was constantly in the news, I was ignorant of all but the basic details about the country. I wanted to know what Wassim’s life was like before the war, and now in Alberta, and what would happen when his family arrived. The next time I needed a cut, I went back to the salon to learn more. In Damascus his life was different, he said. 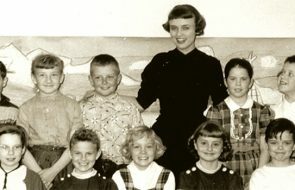 Before the war, when he was 13, he tagged along with his mother one day to get her hair cut at the Sheraton Hotel beauty salon. At the time, he was a “chubby kid,” he said, jealous of the attention he felt his older and younger brothers got from his parents. He admired how salon owner Abid did his mother’s hair, and decided he wanted to learn how. “I quit school. To be 13 years old in a hair salon, you get lots of attention, right, from ladies or guys. So, that’s another reason I want to do it. I find myself there, I think. I [apprenticed] with Abid at the salon. After one year, you start washing hair. By the fourth year, you do highlights. After five years, you do perms and styling.” By age 19, he was able to open his own salon. His life in Calgary has no such glamour. He cuts hair at two different salons in two different malls, with a small list of private clients on the side. The work provides money for rent and food, and to sponsor his family to come to Canada. Under Canada’s private sponsorship system, family members and other groups of Canadian citizens can put up money in the form of a trust fund to sponsor refugees to immigrate. The sponsors must partner with a charity group, usually a church organization, such as the Calgary Catholic Immigration Society or the Mennonite Central Committee, that has a Sponsorship Agreement Holder (SAH) designation with the federal government. After a refugee family arrives, the money is released by the SAH either to the sponsor, as in the case of a family sponsor such as Wassim, or to the refugees—as is the case with sponsorship groups of five or more—in monthly sums over one year to cover the refugee’s first-year expenses. Sponsors are responsible for helping refugees adjust to life in Canada, including finding housing, health and dental care, language classes and other social support. Federally sponsored refugees receive one year of government funding. When the year ends, refugees must either have a job or apply for social assistance. He showed me an email message on his phone. “Oh, the Baptists,” I said. Fatima Ghazal “Zulie” Alnahas, dancer and filmmaker, performing at a fundraising benefit for a Syrian sponsorship group in Calgary. During the 2015 federal election campaign, the Liberals pledged to bring 25,000 Syrians to Canada. By February 29, 2016, the goal was accomplished and the government announced Syrian refugee applications would no longer be prioritized. Even with a slowdown in processing, however, the gates of refuge remain wider than before. From 2013 to October 2015, the Conservative government resettled 2,347 Syrian refugees to Canada. But comparatively, from November 4, 2015 to January 29, 2017, Canada accepted 40,081 Syrian refugees, with more than 4,000 settled in Alberta. Yet not all the numbers are positive. Although newcomers to Canada are on average healthier than Canadian-born people, after five to 10 years, their health declines. Immigrants who have been in Canada for five to 10 years are also far more likely to be food insecure than someone who has just arrived. Social determinants of health, including income, unemployment and job security, and access to healthcare—particularly mental health care for newcomers who may manifest PTSD symptoms years after fleeing violence—are key causes of this deteriorating situation. Kallas was a broadcast engineer and her husband was a lawyer. Getting equivalent certification in Canada will take them years. “So we have to think about a temporary job,” she said. 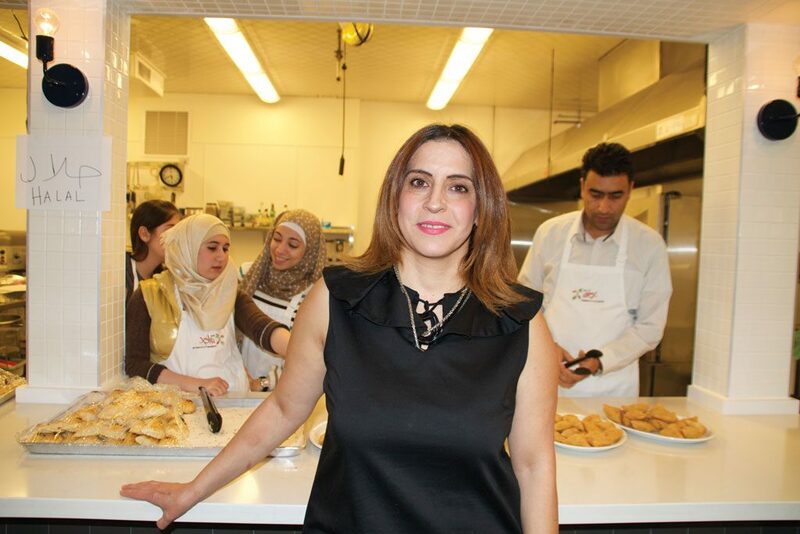 Kallas started a catering company, Syrian Cuisine Made with Love, and was the first new Syrian refugee to hold a City of Calgary business licence. After forest fires ravaged Fort McMurray in spring 2016, she gathered donations from Syrian refugees to help victims of the fire. Such expressions of gratitude are common among Syrian newcomers. So is their resiliency in the face of such barriers as language and lack of money. That resilience can be found in one of Wassim Aladdin’s friends, Fatima Ghazal Alnahas. She was part of the dance group, Enana Dance Theatre, for which Wassim was the hairstylist when they first came to Canada. She and Wassim stayed—“We got stuck here,” she said when I met her at a Starbucks in Chinook Mall. In Calgary, Zulie has written, directed and acted in the Shaw TV series Go Fish—“about five women trying to make it in Calgary”—and a feature film with the working title Old Coffee, which she is also editing. Wassim acted in both low-budget productions under the stage name Wassam Dean. “Everything I built in my life I had to start again in a new country,” she said. “I start from zero, less than zero. But when I came here, I knew how to direct and dance and sing—I had good training. I was waiting for documents, so I started writing scripts. I have a strong personality. I’m a go-getter. I went to parties. I talk a lot. The Alberta government gave me a grant for Go Fish, then another for the movie.” She also had an investor in 2014, but he was in oil and gas and he walked when the economy slowed down. On May 19, 2016, Wassim received an email from Immigration, Refugees and Citizenship Canada, telling him his parents would arrive in Calgary on June 1 at 3 p.m., from Lebanon via Frankfurt. He was nervous—he hadn’t seen them in years—yet excited his family would live with him at his place in Bridlewood, a suburb in the far southwest of Calgary. But there was a delay. His two brothers had not yet cleared screening in Lebanon and his parents didn’t want to leave without their sons. They decided to stay until the whole family could fly together. 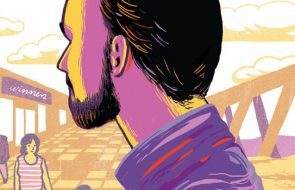 Wassim cut his hair shorter and grew a beard for Ramadan, Islam’s holiest month, when Muslims fast from dawn to dusk—a particularly long time in June, which in Alberta has the longest days of the year. “It is OK, it helps me cut down on cigarettes,” said Wassim with a laugh when I asked about the fasting. He said an important part of Ramadan is to understand suffering—“what it’s like to be poor or in war.” He said he has sent money to a Syrian mother with three children whose husband died in the war. She was a refugee in Turkey, where her landlord had demanded she marry him for free rent. She moved out and Wassim sent her money to help find a new place. The limbo is not unique: a slowdown in processing Syrian refugees, caused in part by cuts to Canadian government staff in the Middle East, means citizen sponsor groups in Canada can face long delays between the time when money is put in the bank and when refugee families arrive. According to the Government of Canada, as of December 19, 2016, there were 2,712 “applications finalized but the refugees have not yet travelled to Canada.” A further 18,112 applications were in progress. To avoid a “growing backlog,” last December the federal government put a cap of no more than 1,000 privately sponsored Syrian refugees allowed into Canada this year. They also capped new applications to sponsor refugees—from anywhere in the world—to 7,500 applications. “What would happen if you did go back?” I asked. 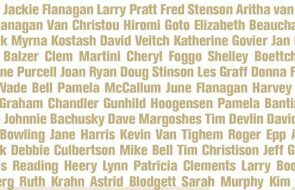 Tadzio Richards is an associate editor with Alberta Views.